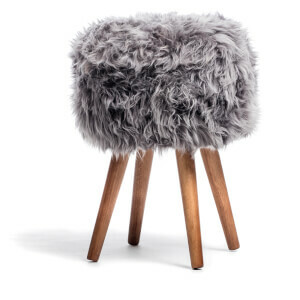 Materials: Cover: 100% New Zealand sheepskin. Legs: Oak. Materials: Cover: 100% New Zealand sheepskin. Legs: Oak. Padding: Polyurethane/Fiberfill.